Is your debt overwhelming your life? At the law office of Cody W. Gibson, we understand how daunting credit card bills, car payments, house notes, student loan debt, medical expenses, and even your monthly bills can be when you are unable to make payments on them. 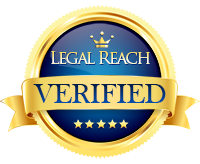 Please contact our firm today so that you can get the relief you need regarding your debts. We have experience in Bankruptcy Law and would be happy to assist you with any and all of your bankruptcy questions. Jackson bankruptcy lawyer, Cody Gibson will help you get your financial life back on track. Chapter 7 bankruptcy eliminates dischargeable debt, including credit card debt, medical bills, unsecured loans and many other financial obligations. Typically, individuals will be permitted to retain their exempt real and personal property (e.g., homes and home equity) and personal property (e.g., cars, furniture and household goods, IRAs, pensions) within Mississippi Statutory allowances. Most consumers are concerned when filing Chapter 7 because they wish to keep their homes and their vehicles. Chapter 7 allows this in certain circumstances. If you remain current on your payments you can keep your home and vehicle. The timeline for a Chapter 7 bankruptcy usually takes between 60 and 90 days after the creditor meeting to complete. Please contact our office today so that we may discuss your rights and your case. As always the consultation is free. Please call 601-407-9190 or contact me online anytime so we can discuss your rights regarding your debts. Based in Jackson, Mississippi, Gibson & Mullennix, PLLC, serves clients throughout Hinds County, Rankin County, Madison County, Warren County, Copiah County and Yazoo County, including cities such as Madison, Ridgeland, Byram, Florence, Flowood, Brandon, Hazlehurst, Vicksburg, Pearl, Canton, Clinton and Richland.